How to lose weight while just walking ? Why does walking speed matter? Walking is one of the most natural, easiest activities for humans. It is no wonder that health experts everywhere recommend it as a basic way to exercise the body and counter a sedentary lifestyle. Nowadays, however, too few people consider it a valid method for losing weight. Science and practice both show that walking is indeed an efficient and very accessible way to slim down. There are two aspects that count for walking: the speed and duration. To lose weight, you need a daily brisk walk for a duration of at least 20 minutes. Make sure to maintain the pace for the entire duration. If you walk at a speed of 2 mph you burn 150 calories. If you walk at 3 mph, you burn 258. If you walk at 4 mph, you burn 375. A power walk at constant speed for the duration of one hour can get you to burn about 650 calories. Walk regularly, so you have a real chance at obtaining visible results. Always pay attention to your breathing – don’t forget to breathe regularly, as your pace indicates. Begin at a slow pace for the first 5 minutes, then work it up. Slow down gradually towards the end. You may also adopt the interval method: increase the speed and intensity for 5 minutes, then slow down for one minute, then increase again. To achieve better results and tone key musculature, squeeze your glutes and contract your abs regularly as you walk. The promenade pace isn’t enough. A higher speed means more effort on our side. More effort translates into more calories being burned. The logical conclusion is that the more effort you put into walking (as with any other form of exercise), the more fat your body will burn and transform into energy. Also, a brisk walk, compared to a slow pace, gets your heart pumping more blood. Your lungs expand to accommodate more air to sustain the pace. This means you’re getting a good cardio workout, which is essential to fitness and health. To lose one pound, you need to burn off a total of 3,500 calories. Of course, the number depends on many factors, including your metabolic rate (how quick you are at burning calories naturally). Don’t just stroll – walk with speed and intensity for about 30 minutes and even your stubborn belly fat will begin to melt away. Listen to fast rhythmic music in your headphones, it will help you keep a good pace. A good plan for losing weight is to schedule a one-hour brisk walk two to three times per week. If you can walk daily (for example to and from work), you can engage in, let’s say, the minimum recommended 20-minute walk. To burn more calories, consider walking uphill, it will increase your effort and consequently your heart rate. Challenge yourself by going off-road on uneven terrain. 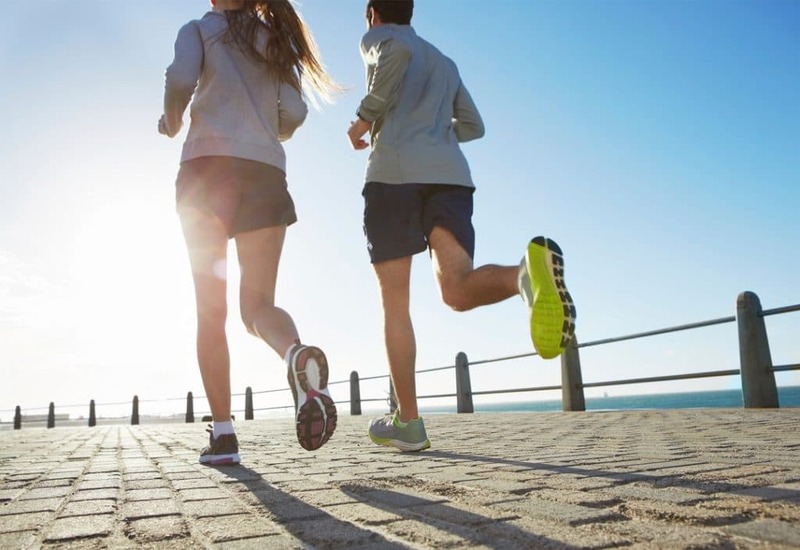 Some people who get used to brisk walking “graduate” to running, but researchers and fitness experts say you should never aim to replace walks with jogging/running. This is because the latter has a much bigger impact on the joints. As you work your way up from a casual to power walker, you take the first steps to proper exercise, that will get you to burn fat more effectively. This means that, if you’re a person who has never engaged in physical exercise or who is too tired or depressed to work out, you can finally make serious improvement. Brisk walking as cardio strengthens your muscles, as well as your heart and lungs, also improving joint flexibility, preparing you for more intense exercise. Furthermore, it helps your body release serotonin, which fights depression. In consequence, you feel more motivated and able to engage in weight lifting, aerobics or any other sports. To avoid being conditioned by the weather, you can use the treadmill and elliptical trainer at the gym or at home. Thus you’ll be able to ensure the exercise time required to begin to lose weight.